Believe it or not there was a time when many of us were actually worried that George Lucas might die before we got another Star Wars movie. This was after the original trilogy and before the prequels. Then we got the prequels and wondered if we would ever get any “real” Star Wars movies. Then Disney came along and now it looks like we have an honest to God awesome Star Wars movie on the way. My point is, that during all of this, none of us knew if we would live long enough to get the Star Wars movie we deserve. It’s been a long time since those original movies. There are people older than me who were unsure if they would ever see what came next in the story, whose fears were even more justified. And what if you were terminally ill with a new movie just around the corner? Star Wars means so much to so many people. It would be a shame to not live long enough to see it. 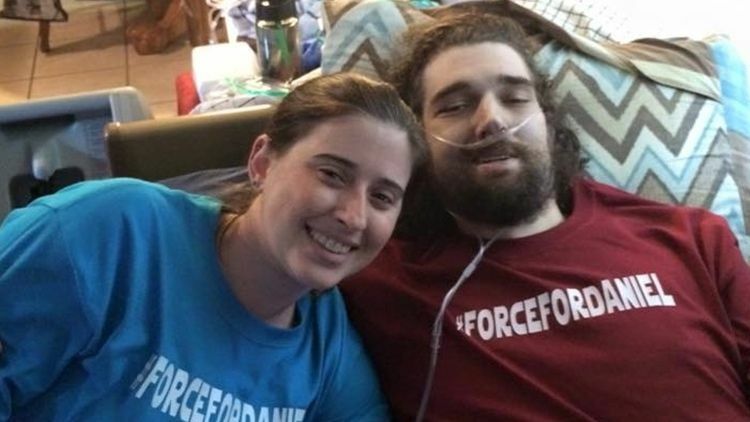 Well, last week we learned that terminally ill Star Wars fan Daniel Fleetwood was granted his dying wish to see The Force Awakens. Disney and Lucasfilm allowed him to see the film after a social media campaign with the hashtag #ForceForDaniel. It was supported by Mark Hamill, John Boyega, and several other big name stars. Daniel got to see some Star Wars magic one last time. It’s a sad story, but a beautiful one. Star Wars is quite a force to be reckoned with. Look at what happened here. A giant corporation, with every reason in the world to keep their movie a secret before opening day did the right thing and granted a dying man’s wish. They could have easily ignored this plea. Would this have happened if it wasn’t a Star Wars movie? I don’t know. But I believe in the power of The Force, and when you see it at work in real life, you can’t deny that we all play our part. We can be evil or we can be good. Dark side or Light – and The Light Side is a beautiful thing.